Originated in the thirties and forties of the last century, loft style was the prerogative of those who did not have enough money for “decent” housing. Former warehouses, workshops and studios were being converted into living spaces. Often to save money, the new owners did not finish the brick and concrete walls at all or only reworked part of their industrial apartments. Beams of overlapping, supports that were exposed on public display, the communication system that was easier to leave open than to “hide” behind the cladding. 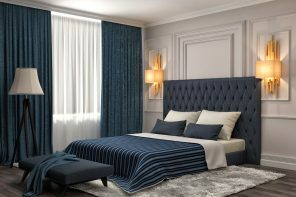 At that time, few could predict that all these forced measures would become exquisite design techniques for creating a modern interior in Industrial style. And no longer poor students but wealthy homeowners are choosing loft styled kitchen. Industrial motiffs for comfortable life out of the former industrial spaces with their own special coloring and atmosphere are winning more and more fans from different sections of the population. Large lighting devices (hanging parts from a high ceiling on special tripods or bases), which are necessary to illuminate a large area. And, of course, industrial style can’t do without scale. 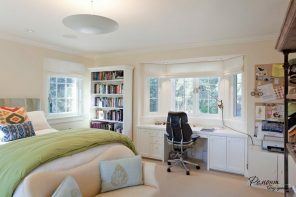 Spacious rooms with high ceilings and large windows are simply necessary. Certainly, the loft style motifs can be used in typical multi-apartment buildings to create an original design. But a truly industrial interior can only be obtained in spacious rooms with high ceilings that exactly meet the definition of industrial space. One of the advantages of loft style is that you do not need to worry about exquisite, expensive interior items. “The simpler and more convenient are furnishings the better” is one of the motives of industrial stylistics. You can save a lot on finishing, if your home has untreated brickwork or concrete surfaces. Just consider antiseptic coatings against fungus formation. Kitchen in loft style is, first of all, functionality, convenience and practicality. But the aesthetic side of the question is not left behind. Preference is given to laconic solutions, the use of natural hues, materials, often contrasting with industrial aesthetics. Another plus of decorating the kitchen in an industrial manner is sufficient freedom of action in combining of not only materials, but also the very ideas of creating those or other interior items. For example, a vintage chair on the background of a slightly shabby brick wall will look just luxurious. 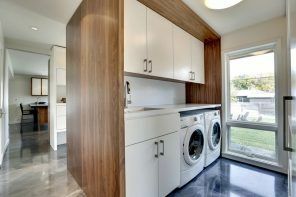 Modern household appliances are easily combined with concrete surfaces. And metal elements with chrome luster appear as a contrast to untreated wood. Loft style easily tolerates some borrowing, it is inherent in eclecticism, but in moderate amounts, of course. If you want to use the Loft style to decorate the kitchen, located in a typical apartment, then you will need to go for a space-extension. One of the options is connecting the kitchen with a balcony or a loggia. The room will not only become larger, but will be also lighter. But not all apartments are built with balconies or loggias. 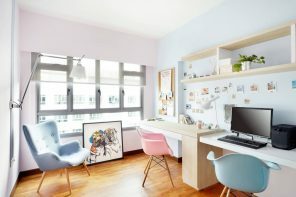 The second option is the connection of the kitchen with an adjacent room to equip the kitchen studio, which performs the functions of the living room as well. Combined space is more suitable for using industrial aesthetics, taking into account the peculiarities of a typical structure, of course. If pioneers of decorating rooms according to Loft style most often had to save on finishing, leaving most surfaces unchanged after their industrial use, the current owner of the loft kitchen will have to work hard. If your room does not have untreated brickwork, then there are plenty of options for you to imitate this surface with modern finishing materials. A brick wall, even a part of it, is a great way to say about the stylistic affiliation of the interior. 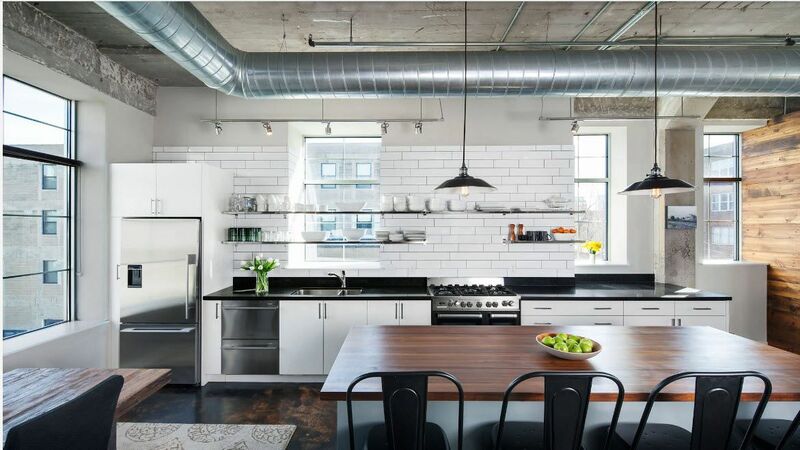 If the industrial motifs are used to decorate the kitchen, arranged in a standard apartment, then you can use white color on top of the brickwork to visually increase the volume of the room. Most often, a kitchen in loft style is a zone in a combined space. When decorating a kitchen segment, you need to consider the entire interior in general. Most often, finishing the kitchen is a continuation of the decoration of the walls, floors and ceiling of the living room (and sometimes the hallway, home office and even bedroom). But given the specific features of the functional kitchen area, some surfaces require special approach to create a practical and durable finish. And it’s not just about the design of the kitchen splashback (the material should be moisture resistant, withstand chemical cleaning, resistant to mechanical damage), but also the choice of flooring. Industrial kitchen always has high ceilings. A distinctive feature of the design of the ceiling is not only the presence of beams, floors, but also open engineering systems. Therefore, no stretch ceilings, wallpaper and ceiling slabs. If the original concrete image of the ceiling does not suit you, then use white color to visually increase the height of the room and emphasize the appearance with beams of wood or metal. Kitchen in loft style is a room where you can use design techniques that in any other design would look inorganic. In the design of the ceiling, you can use a wide variety of methods starting from covering with metal plates to constructing of entire compositions that mimic industrial adaptations of various modifications. To decorate floors, designers recommend using a concrete surface. Slightly uneven, only covered with special transparent compounds acting as antiseptics, such a coating ideally reflects the industrial aesthetics. Even a perfectly flat concrete floor with various composites increasing its strength and durability can be an excellent option. But not always this way of flooring is suitable for residential spaces. Most of us need a “warmer” option. A wooden floor board or matte laminate with a high level of wood imitation will be an excellent alternative. The choice of design solutions for the execution of the kitchen set has practically no restrictions. The industrial style is well combined with simple concise solutions. It can be both facades with fittings and smooth surfaces. In most cases, future owners of loft kitchens choose matt surfaces. But gloss for the execution of facades may look appropriate if it is the only major element of the interior with a reflective ability. It is difficult to imagine more harmonious environment for kitchen facades made of stainless steel than an interior in industrial or high-tech style. You should provide constant care for surfaces to maintain an ideal appearance, but the facades themselves will be literally “eternal”. They are not afraid of moisture, deformation, wear and tear. This bold decision can lead to the creation of a completely unique kitchen interior in loft style. 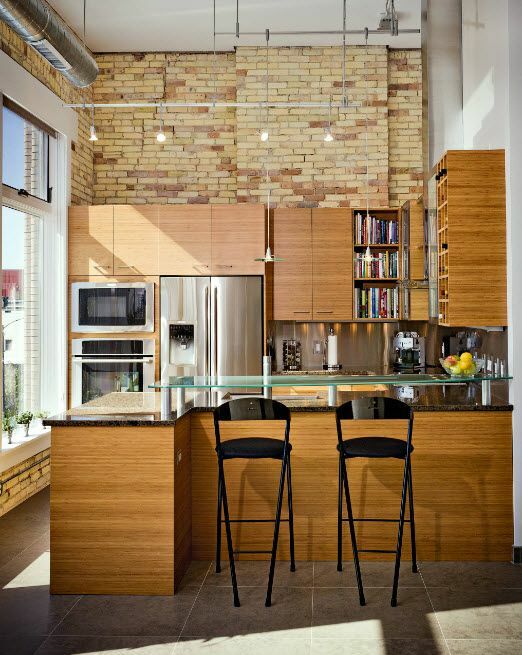 Designers recommend using open shelves when planning furniture set for a loft kitchen. Shelves can be made of wood or metal, in the type of industrial racks with the possibility of creating different sized gaps between the shelves. This will determine the choice of dishes that will be stored on these shelves. If we talk about the choice of color solutions for the facades of the kitchen set, then there are two options indeed. The first is associated with the selection of a shade that harmoniously fits into the created environment. The second is defined as an accent element of the interior. Given the scale of the furniture solution for the kitchen, this accent becomes decisive for this particular area of ​​the room. Against the background of brickwork, concrete walls or whitewashed surfaces, any bright shade of the facades of kitchen cabinets, will look spectacular and advantageous. But in most cases designers offer neutral color solutions for the facades of kitchen cabinets, which will be located in the industrial kitchen. In this case, you can introduce brightness to the neutral image of the kitchen area with the help of bright household appliances. The mere refrigerator or oven in a bright version is enough to create the necessary accent. 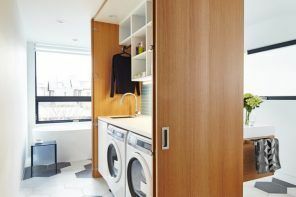 A kitchen set or a part of it can serve not only as storage systems and places for integration of household appliances, but also as zoning element. Loft styled kitchen is often part of one spacious room, where almost anything can be used as partitions including furniture solutions. Storage systems can separate the kitchen from dining room, living room or hallway. It is more or less clear about the kitchen set. But the choice of a dining group becomes a stumbling block for many people. If the dining area is convenient to arrange at the kitchen island or peninsula, then only suitable to the design of kitchen facades bar stools or stools can be chosen. If there is a need and the possibility of installing a full-fledged dining group, then it is necessary to puzzle yourself with the choice of the table. The combined products of wood and metal (table top made of wood on a metal frame) will fit harmoniously to the industrial thematic. Suitable chairs from similar materials or with soft upholstery of seats would fit such a table. You can choose among folding models and even garden furniture. The table on casters will look effectively both as a kitchen island as well as the surface for organizing meals. 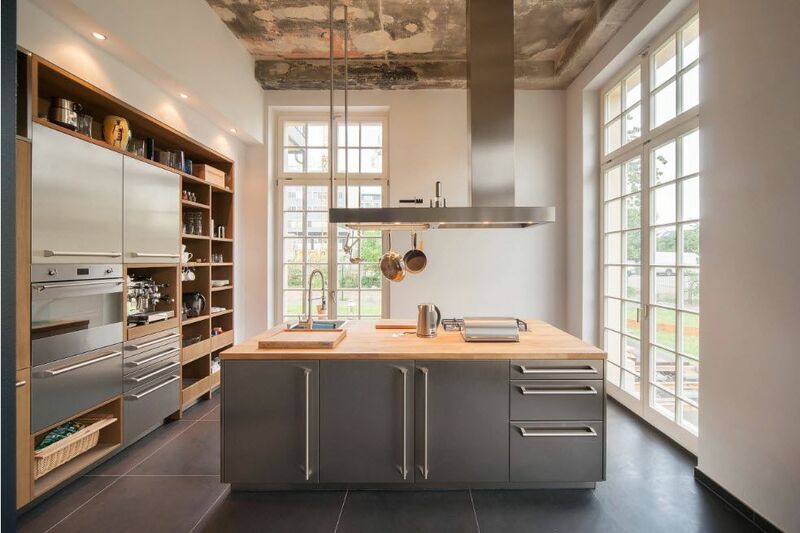 Completely metallic or with a wooden countertop, such an interior object will not only effectively fit into the overall concept of an industrial image, but will also become the focal point of the kitchen area. Equally important is the choice of suitable chairs for a dining table or bar stools for a kitchen island (peninsula) or a bar counter. Ideal option is a metal frame with wooden or leather seats and backs. The kitchen, designed in industrial style should be well lit. 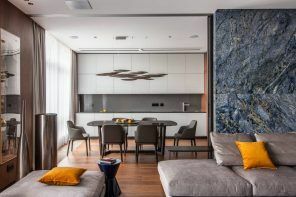 Not only large spaces of loft spaces are pushing the owners to create a whole system of fixtures (from hanging chandeliers to built-in lamps and ribbon lighting). The backlight will be needed for a working area, a dining segment. Common lighting fixtures (at least one) are also needed to create diffuse light. The choice of lighting fixture design is limited. It can be like models similar to those used in workshops, with metal or plastic shades, as well as more refined lighting devices “borrowed” from other stylistic directions.